Life at Home for People with a Dementia provides an evidence-based and readable account of improving life at home for people with a dementia and their families. There are estimated to be 47 million people with a dementia worldwide, the majority of whom will live, or want to live, in their own home. Yet there is a major shortcoming in available knowledge on what life is like for people with a dementia living at home. Most research focuses on care in hospitals or care homes, and takes a medical perspective. This book bridges this gap in knowledge by providing a comprehensive and critical overview of the best available evidence on enabling people with a dementia to live well at home from the viewpoint of those living with the condition, and in the context of global policy drivers on ageing and health, as well as technological advances. The book includes chapters on citizenships – that is, the diversity of people living with a dementia – enabling life at home, rethinking self-management, the ethics and care of people with a dementia at home, technological care and citizenship, and sharing responsibilities. It concludes with a care manifesto in which we set out a vision for improving life at home for people with a dementia that covers the areas of professional practice, education and care research. 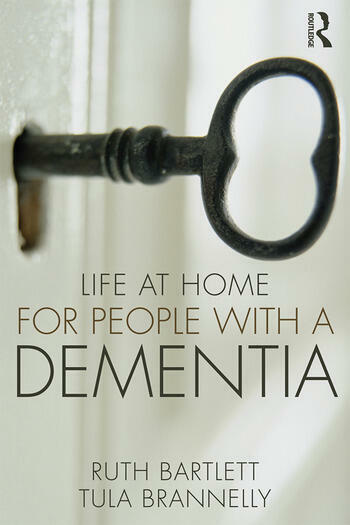 By covering a wide range of interrelated topics to advance understanding and practice as to how people with a dementia from diverse backgrounds can be supported to live well at home, this book provides a synthesised, critical and readable understanding of the complexities and risks involved. Ruth Bartlett is an Associate Professor in the School of Health Sciences, University of Southampton, UK, and Director of the University’s Dementia Care Doctoral Training Centre. Ruth’s research interests are cross-disciplinary and related to people with a dementia, health activism, ageing and participatory research methods, including diary method. Ruth has published academic work and led social research studies in these areas, including most recently a project funded by the Alzheimer’s Society on the use of GPS location technologies by people with a dementia and their families. Tula Brannelly is a Lecturer in the School of Health and Social Sciences at Bournemouth University, UK. Tula has a longstanding interest in the experiences of people with a dementia, and has spent many years in research, education and practice. Tula’s interest is in the impacts of health and social policy and is informed by an ethics of care. Tula is interested to understand more about how citizenship and care are facilitated with people with a dementia.